Trump appointees wanted to make oil and gas extraction easier for industry, but a federal judge worried about pollution and wasted resources. LOS ANGELES — A federal judge in California has blocked an effort by the Interior Department to roll back rules designed to limit methane releases by the oil and gas industry. The action late Thursday was the second in just four months that prevents the Trump administration from slowing down regulations approved in the waning days of Barack Obama's presidency. The rules were intended to prevent air pollution and to bolster royalties from oil and gas extracted from publicly owned land. Judge William Orrick of the northern district of California ruled that the Bureau of Land Management had not given adequate justification for putting a one-year hold on the methane and waste prevention rule. "The BLM's reasoning behind the suspension rule is untethered to evidence contradicting the reasons for implementing the waste prevention rule, and so plaintiffs are likely to prevail on the merits," Orrick wrote in the 29-page opinion. 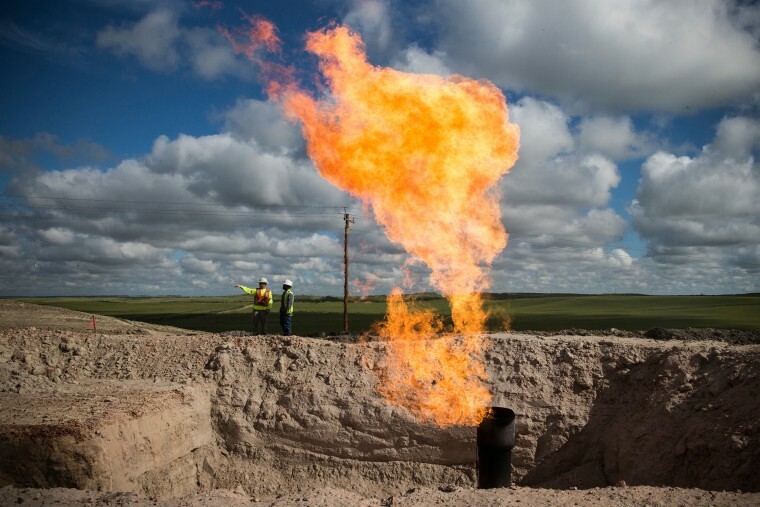 Environmentalists had become increasingly concerned in recent years about the releases of methane, a particularly potent greenhouse gas that has been closely tied to global warming. Seventeen conservation and tribal groups that joined the litigation--including the Sierra Club, Earthworks and the Center for Biological Diversity--noted that gas releases have increased with the expansion of oil and gas drilling. And methane comes laden with other toxic pollutants, like benzene, toluene, ethylbenzene, xylene and other smog-forming organic compounds. So much gas was wasted between 2009 and 2015 that it could have supplied more than six million households for a year, if it had been captured, instead of being released into the atmosphere, the environmentalists said. If gas extracted from public land had been captured, it would have produced an additional $32.7 million in royalties for the federal government, they estimated. When the administration first tried to postpone the methane rule in October, another federal judge in California ruled that Interior Secretary Ryan Zinke’s agency had not given the proper notice or held hearings. The agency tried to correct those flaws with its second attempt at postponing the Obama rule, but the states of California and New Mexico and the coalition of environmental groups argued that there was no good reason for a year-long pause in implementing the rule. The Bureau of Land Management (BLM) last week proposed a more permanent rewriting of the Obama methane rule. The agency said the previous regulations unnecessarily constrained industry and the nation's bid to achieve "energy dominance." That proposal was not the subject of Orrick's ruling. An Interior Department spokeswoman referred questions about the court’s action to the Department of Justice, which declined to comment on what it called "pending" litigation.